World Leaders Giving You The Finger. 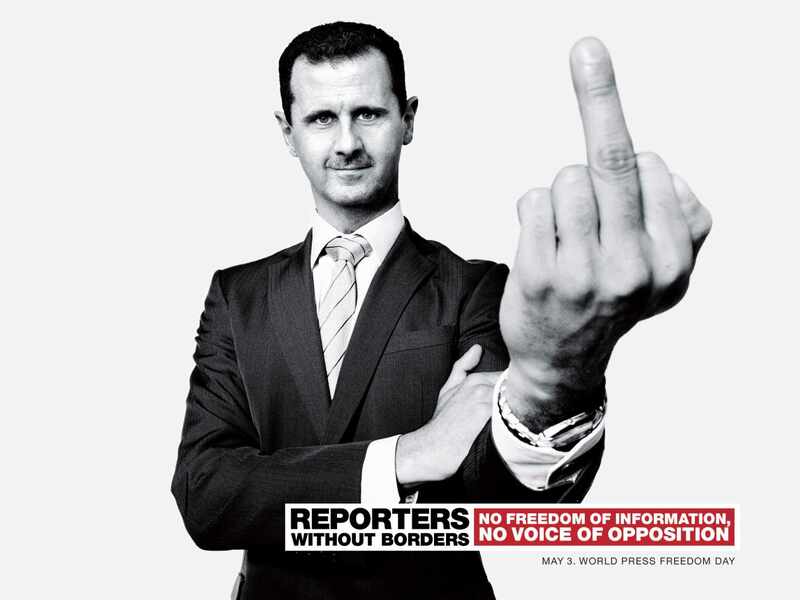 Nothing has visual impact quite like a handful of dictatorial leaders giving you the finger. 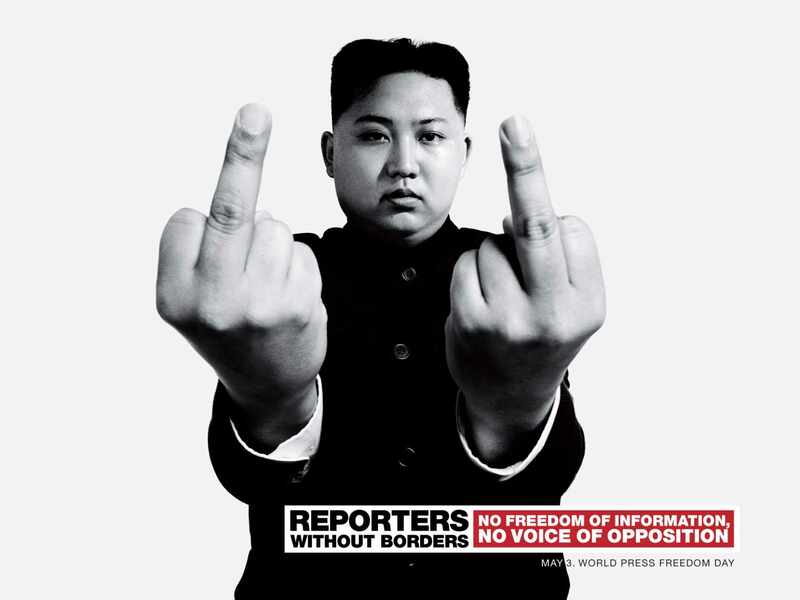 For Reporters Without Borders, Advertising Agency: BETC, Paris, France, took images of some of the most notorious hardline leaders of the last few years and created posters of them doing just that. They are giving you, and the rest of the world the finger, and through that symbolic gesture telling everyone they can do what they want. The campaign is simple. 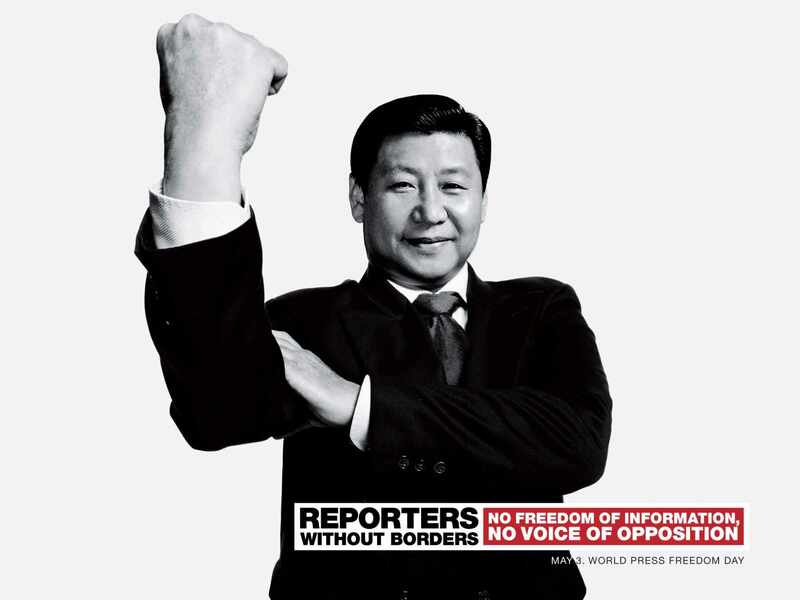 A black and white photo with the Reporters Without Borders logo, their tag line, and a notification about May 3rd being World Press Freedom Day. The sad thing is, the people that live in the countries that are led by these individuals will probably never see these because access to the media is so controlled or denied. 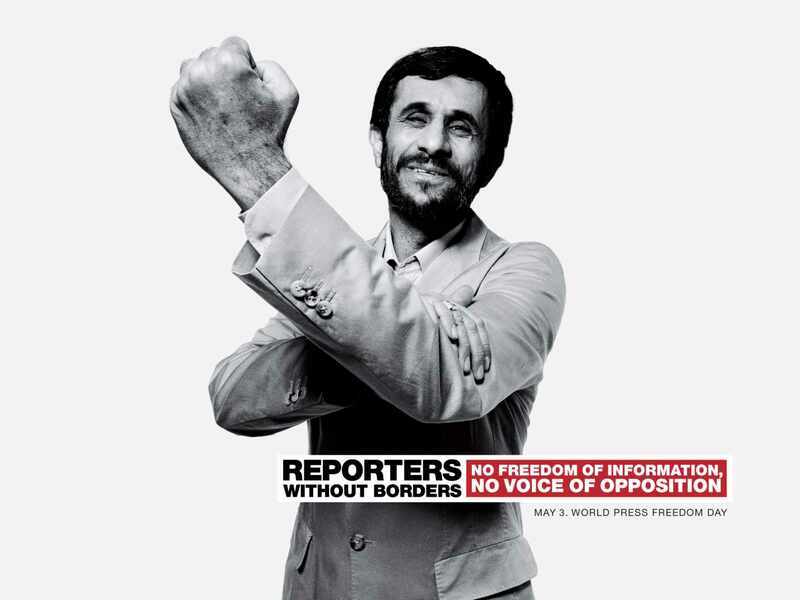 Posted in Advertising, General and tagged Advertising, Ahmadinejad, Assad, BETC, Censorship, Freedom of Information, Freedom of Speech, Putin, Reporters Without Borders, World Press Freedom Day, Xi on June 13, 2014 by Author. ← Elvis DNA Sound. The King Rises Again.